DIY Camping Accessories – Made From a Shower Curtain! I can’t quite believe that I’m sending my first baby off to overnight camp. It’s only been a few nights, and I do feel a little ache when I think of him being gone, but I know he is having an amazing time, full of new experiences, skills, and friends. It is also a special week to give some extra TLC to our younger ones and for them to spend more time together. We’re not big into camping (at least not yet! ), so a lot of the things on the packing list for camp had to be purchased, and after spending so much money on just one week, I was looking to see if there were at least a few things I could improvise or make. I’m really happy with the material choice for this project. I bought a 100% polyester shower curtain from a discount store for $5.99. The material was perfect for this purpose, some of the edges were already finished, the grommets at the top were perfect for making a drawstring bag, and I still have about half the fabric left. $3 for both both the stuff sack and the meal kit! nylon cord with toggle. The toggle is optional, but I’m a pack rat and happened to have a drawstring with toggle leftover from something else. 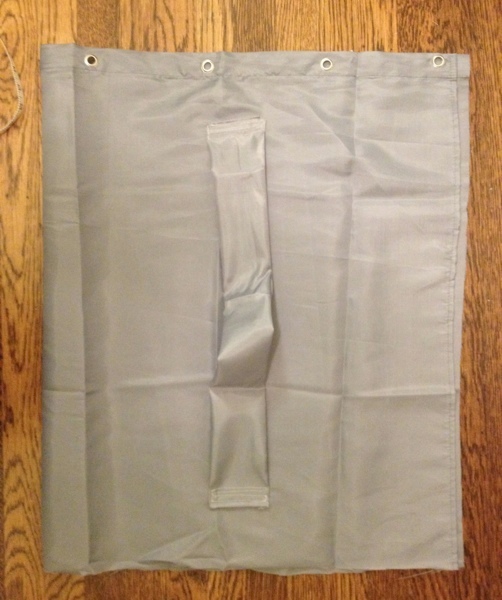 The bag is a large 28″x45″ rectangle, with the long side cut from the top of the shower curtain, so the grommets are used (shown below, folded in half). The strap is a small 12″x22″ rectangle. 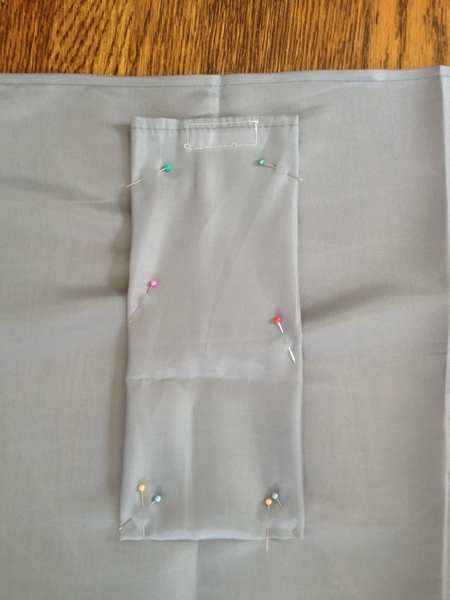 First, finish the strap by folding it in half length-wise and sewing along the open side and end. I used a straight stitch and also finished the edge with a zig-zag stitch, as this polyester frays very easily. You can see how I finished the strap below. Sew the strap with a straight stitch and a zig-zag stitch to finish the edges. Next turn the strap right side out. What I didn’t do here but would recommend is top-stitching all around the outside of the strap, about 1/4″ from the edge to make it lie flatter. 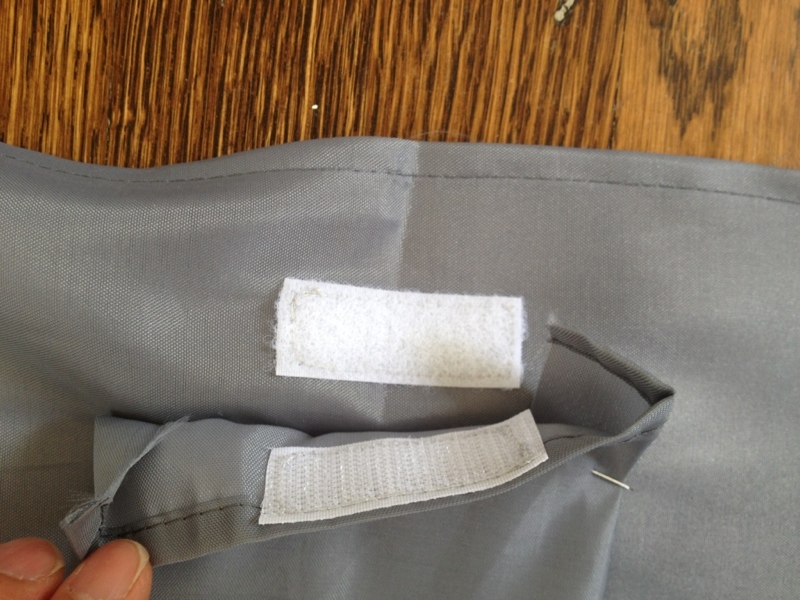 When the strap is finished, pin it onto the bag as shown below, leaving about three inches at the top of bottom, and putting some slack in the strap. I sewed it down with multiple rows of stitching to make it secure. Not shown, I then stitched around the side and bottom of the sack, again using a straight stitch and finishing with a zig-zag. 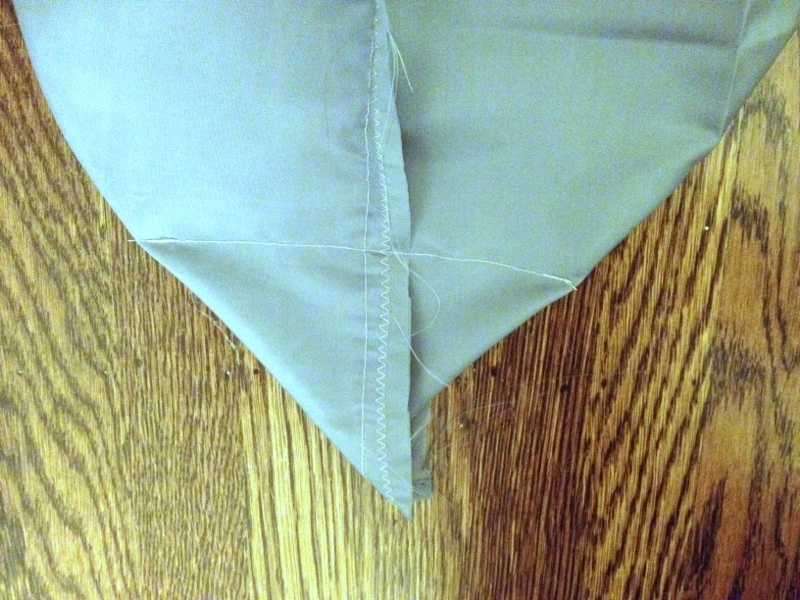 To give the sack a more three-dimensional form, I folded the bottom corners so that the side seam lay against the bottom seam and stitched a triangle on the inside bottom of each bottom corner, as shown below. Sew a triangle at the bottom corners to give the bag a more three-dimensional shape. Finally, I wove the the cord through the grommets and secured it with the toggle. That wasn’t so hard! 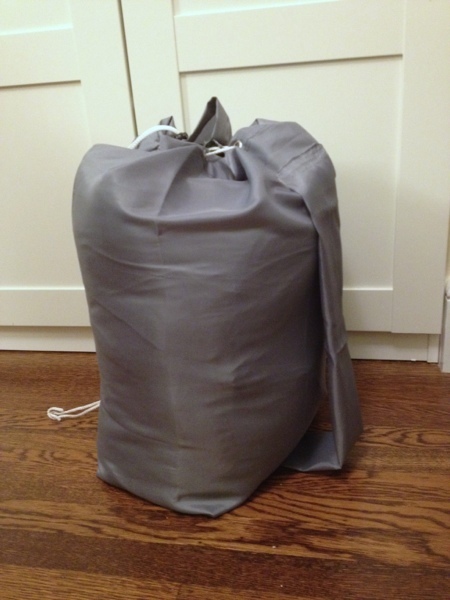 Finished DIY sleeping bag stuff sack from an inexpensive shower curtain. 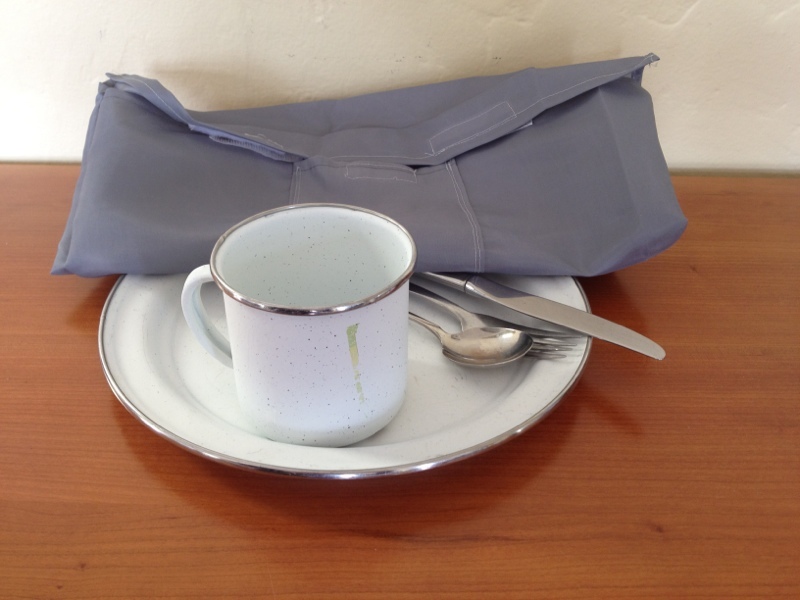 This pouch was made to hold a 10″ plate, a cup, and utensils. It turned out a bit big, so you could definitely shrink the size of the main bag by at least an inch in both dimensions. The cutlery is a small 6″x11.5″ rectangle, with the corners cut on one of the short ends (shown below). 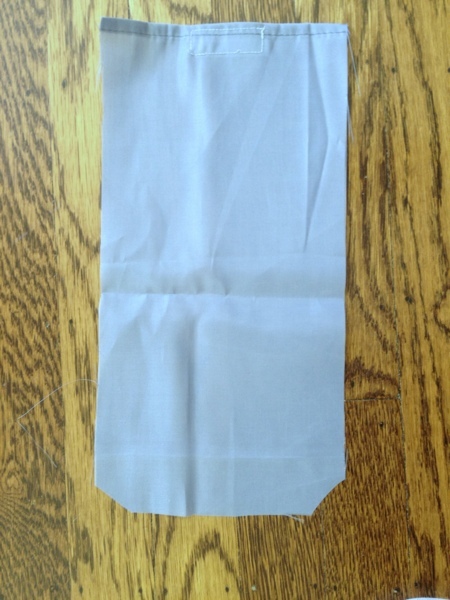 Hem all sides of the rectangle for the main bag by folding over the edges twice and sewing them down to make a hem. Sew velcro to the main bag, and lay down the cutlery pouch, matching up the velcro. 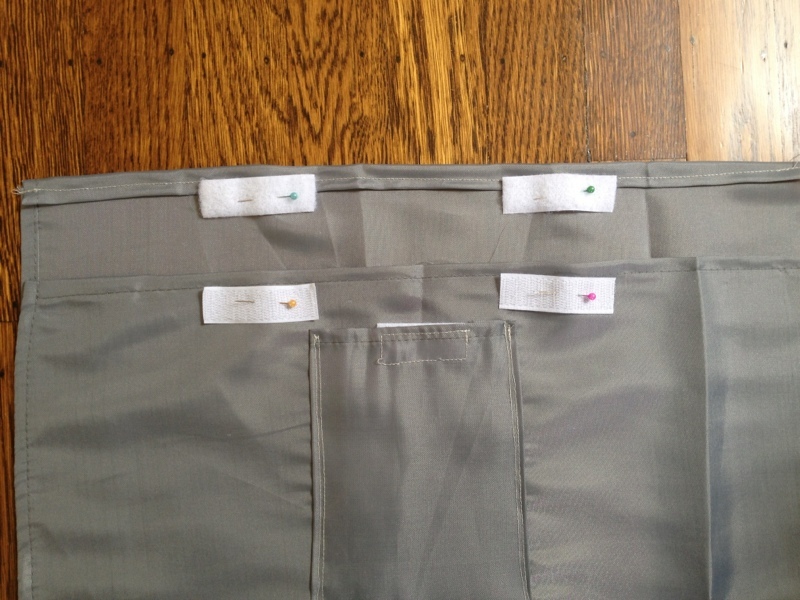 With the velcro matched up, sew the cutlery pouch to the main bag. 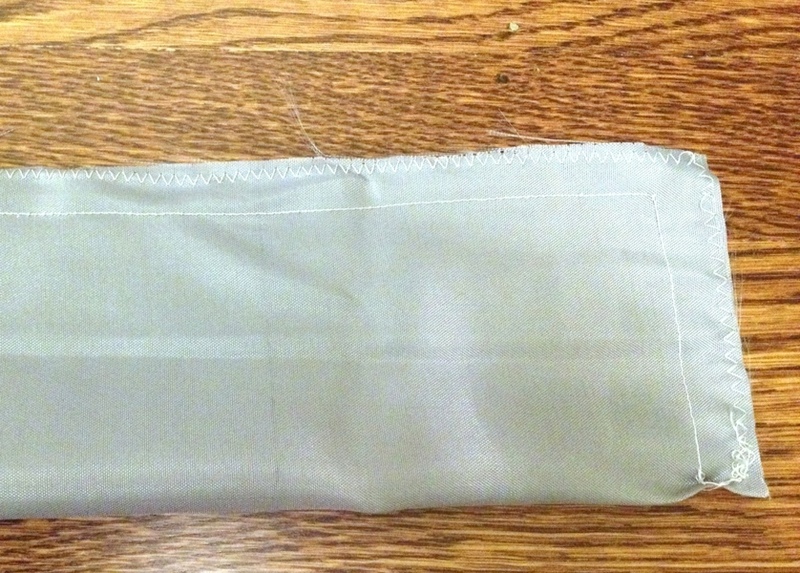 Sew strips of velcro to the main bag on the inside of the flap and the outside of the front, as shown. 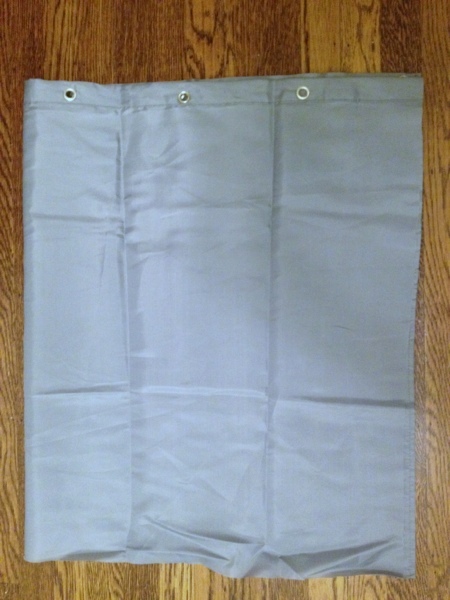 Pouch for holding camping plate, cup, and utensils, made from an inexpensive shower curtain. Ready to pack by big kiddo off to camp with these accessories made from a shower curtain for about $3! 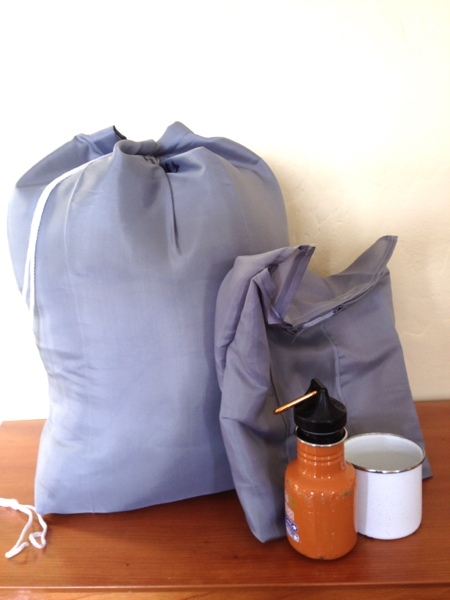 Sleeping bag stuffsack and camping meal kit made from an inexpensive shower curtain! Please let me know if you are trying these projects and want clarification on anything. I really winged it as I went along, and I’ve been struggling to figure out how to explain what I did in a logical way, but I figured I should just spit it out and post this… Kiddo will be home in just a couple of days! Yay! I made one of these several years ago when I wanted to take bedding to a ladies’ retreat. It was so easy and worked perfectly. I’m just about to make another one. Thanks for sharing this great idea and clear instructions!